NNIT, a leading IT services and consultancy provider has appointed Jan Weber new General Manager for its North American affiliate. NNIT is a global provider of IT services, primarily for the life sciences sector. Founded in Denmark, NNIT has more than 20 years of experience serving the life science sector, supporting some of the largest clients. The new General Manager of NNIT’s North American office, Jan Weber, joined NNIT in 2005 and has built up a vast experience within IT, life sciences and management. 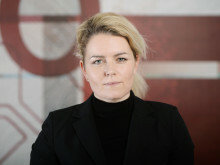 Most recently, Jan was Director for the Danish Life Sciences Advisory department. Jan Weber is looking forward to his new position: ”We have a very strong team in our US office and I’m looking forward to continue and further boost our life sciences business in North America. NNIT’s long and thorough experience within the life sciences sector will prove valuable when meeting the North American market, where regulation and governmental demands are vital for any life science business. We know the demands and can meet them with our proven high quality services within Regulatory Affairs and Clinical Development. Further, I see great opportunities for our NNIT solutions like Compliance as a Service, GxP cloud and application outsourcing services,” concludes Jan Weber. Jan Weber will assume his new role as of November 1, 2015 and will be based in Princeton, New Jersey. NNIT is an international consultancy in the development, implementation, validation and operation of IT for the life sciences industry. We create value for our clients by treating their IT as if it was our own, and of course, we meet the industry’s strictest regulatory requirements. We apply the latest advances in technology to make our clients’ software, business processes and communication more effective. As of July 2015, NNIT A/S had more than 2,500 employees. For more information please visit www.nnit.com.